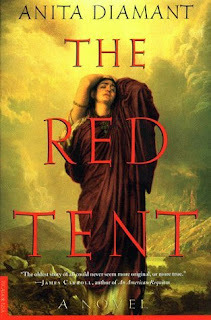 I tried reading The Red Tent, but it didn't really appeal to me. I'm glad to hear you liked it! Eustacia - I'm sorry The Red Tent didn't work for you. I wasn't sure I would like it at first, but ended up loving it. I am glad I read it. Death of Red Heroine does sound good, doesn't it? 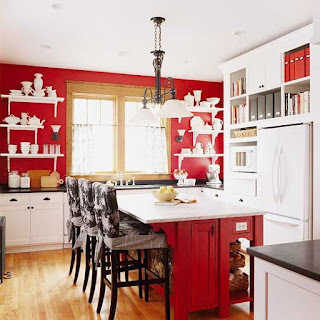 Red is my favorite color so I would love to have a red kitchen. The peanut butter patties are our favorite Girl Scout cookies too. Kathy - I really like red too. Especially dark red. :-) Now I'm wishing I could have a Peanut Butter Patty! I'm trying not to indulge, but it's hard with a house full of Girl Scout cookies. Nicole - What a coincidence! :-) I should have thought of "Wrapped in Red"! I love that one! Donna Marie - I figured I needed to fit in this month's topic and I didn't have a review ready, so why not? It was fun putting this together. :-) I don't know what it is about those red appliances and cookware. I can't resist them. Dr. Seuss is the best. I read The Red Tent many years ago and thought it was quite good. It's not typical Biblical fiction at all. Love the One Fish, Two Fish book. Read it so many, many times. 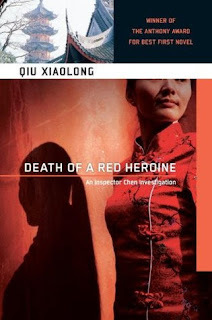 I also loved Death of a Red Heroine. A different sort of crime novel, but with a definitely sense of China, which was very intriguing. We discussed it in mystery group. 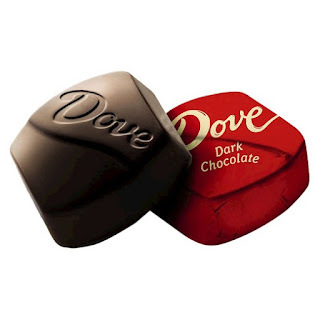 That Dove chocolate looks great, but I'm mostly abstaining these days. Same with the GS cookies. Enjoyed this, Wendy! Kay - I think that's part of why I ended up liking The Red Tent, because it wasn't typical Biblical fiction. That and the great characters. I am glad you liked Death of a Red Heroine. I think I will too when I get to it. Just need to make time! 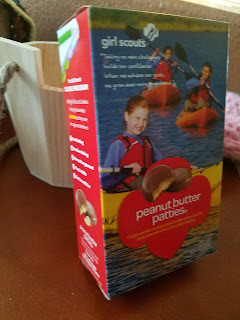 I haven't bought as many boxes as I did last year of the Girl Scout cookies even though my daughter is selling them. I am kind of over Girl Scout cookies after last year! I did donate more though their I Care program, which donates boxes to the military. They love the cookies over there. What a fun meme. I've only been to Vancouver and absolutely loved it so I hope to go to Canada again. 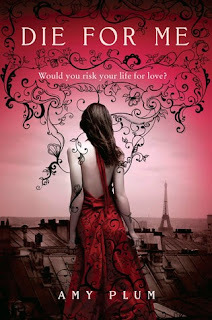 And, I have Death of a Red Heroine on my TBR shelf too. It must be waiting for me for well over 5 years now! yikes. Iliana - I haven't been very far into Canada, only to Niagara Falls, and I don't think that really counts given how touristy it is. Someday I would love to visit Vancouver and maybe Toronto and other parts as well. I am not sure how long Death of a Red Heroine has been on my shelf, but I know it's been about that long or longer on mine too! I read one Diamant book. The biblical theme was good but heavy. Mystica - I've enjoyed the two books by Diamant I've read. I really enjoyed The Red Tent! Such a pretty post, and yes to red wine. OMG The Rose, don't make me cry. Have you seen her in Beaches? And then Wind Beneath My Wings. Tearfest. Wind Beneath My Wings was my 8th grade graduation song...we had to get up and sing it. lol. Thanks for the flashbacks! Beaches makes me cry every time. Love Wind Beneath My Wings. I don't really wear much red but I love a muted red for house stuff - particularly in the kitchen! I have a lot of red in my kitchen too. Now you have me wanting chocolate! Katherine - I don't wear a lot of red either, come to think of it. La La - Dr. Seuss had a way with words. :-) I hope you like The Red Tent if you read it! That is neat that she earned her degree at the University you work! 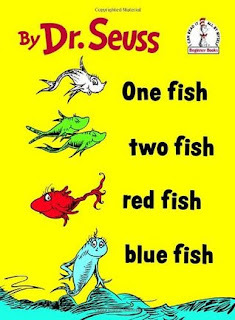 I was just thinking about One Fish Two Fish Red Fish Blue Fish. My four-year-old is a very early reader, and I don't think she's read this one yet. 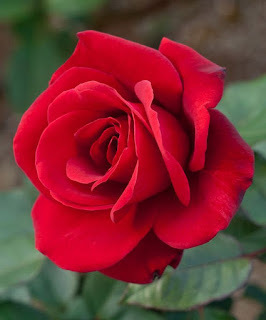 I have also always loved The Rose. Love me some peanut butter patties!